Box Text: FUN AND ADVENTURE AWAIT UNDERGROUND! -100 massive levels to explore! -Play solo or four-player, co-operative multiplayer! 01-25-2017 aliensstudios Box Text FUN AND ADVENTURE AWAIT UNDERGROUND! -100 massive levels to explore! 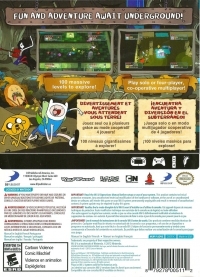 -Play solo or four-player, co-operative multiplayer! 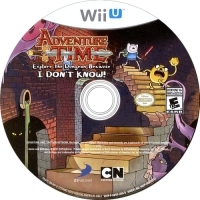 This is a list of VGCollect users who have Adventure Time: Explore the Dungeon Because I DON'T KNOW! in their Collection. This is a list of VGCollect users who have Adventure Time: Explore the Dungeon Because I DON'T KNOW! in their Sell List. 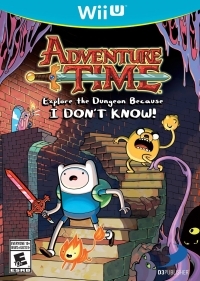 This is a list of VGCollect users who have Adventure Time: Explore the Dungeon Because I DON'T KNOW! in their Wish List.